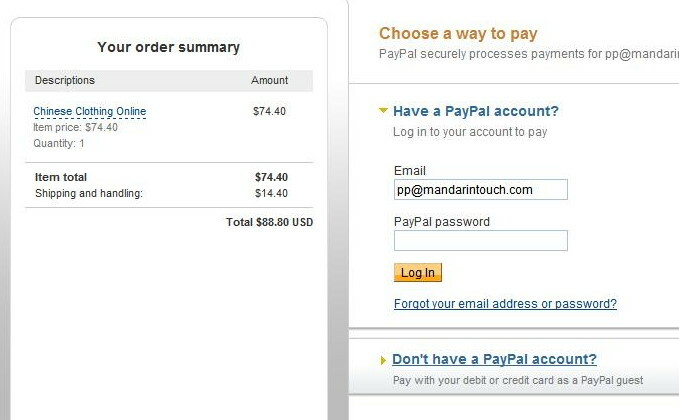 Can I pay by credit cards without PayPal account? Please click "Pay with a debit or credit card" at the bottom if you DON'T have a PayPal account. We also accept Wire Transfer, Direct Bank-in or Western Union. If you want to use any of these offline payment methods in placing your order, please inform us in advance and we will manually activate this OPM payment feature for your account. 1. Country of the receiver should be "Hong Kong" and not "China". 2. Inform us the Money Transfer Control Number (MTCN), the first and last names of the sender. As shipping charge depends on weight and destination, please add your desired products to the shopping cart and click checkout to the shipping page for details. All stock merchandise will usually be dispatched for shipment within 3 to 5 business days upon receipt of full order payment. Please allow 10 to 20 business days for most custom-made items. Bulk orders may take an even longer preparation time. Please always refer to the specific product item page for lead time information. Total Delivery Time required is Order Processing Time (see product page for individual item processing time) + Shipping Time (3 ~ 10 business days depending on shipping method chosen). Can you send me a printed product catalog? Sorry, we do not have one to send to our customers. As we update our products and prices from time to time, a printed catalog will soon be outdated. Please do check back to us from time to time to see our special offerings and new product updates. Yes, you can pay us by funding your PayPal account with money from your US bank account using Electronic Funds Transfer. Do you offer discount for bulk orders? Yes, our built-in quantity and order discount mechanism will take care of your bulk orders automatically. We are an online shop and we ship to virtually all major countries in the world with most of our buyers come from USA, Canada, UK, Spain, Netherlands, Germany, Sweden, France, Italy, Australia, New Zealand, Japan, Singapore, etc. Yes, please create an account online first, then apply with details of your business entity and mode of operation for approval. As a wholesaler, you are entitled to a higher discount rate but subject to a minimum purchase amount per order. For resell, no minimum purchase is required and we can even drop ship to your customer without showing our business identity.